Just like there are millions of stars in our solar system, the growing demand for cannabis has lead to the development of countless cannabis strains. Entering into any dispensary today is like walking into a cannabis candy store. 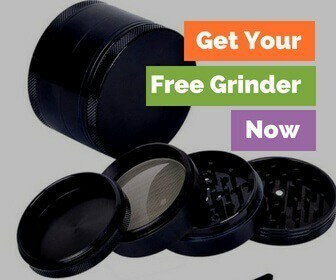 Everything from heavy THC strains, to strictly CBD variations, to hybrids. There is a perfect strain out there for everyone. The best cannabis strains on the market today are there to try and fulfill the salacious appetites of cannabis consumers. We know what the best cannabis strains are because consumers are demanding and smoking them in record-breaking numbers. What Makes a Good Strain of Cannabis? Weed isn’t a one-note plant. Cannabis contains hundreds of unique chemical compounds, with more discovered seemingly every day. The cannabinoids and terpenes make up of every strain is a complex mixture. The unique portrait gives each strain a different flavor profile, medicinal properties and terroir. These sophisticated chemical composites are why everyone seems to have a preferred strain of cannabis. Just because someone loves a potent THC sedative strain, doesn’t mean you are going to share the same opinion. Choosing a cannabis strain a profoundly personal experience. Scientists are just starting to understand which compounds trigger which responses in our bodies and minds. Especially if you use marijuana for medicinal purposes, you’ll need to pay special attention to the cannabinoid content. Today, THC and CBD are well-known, and considered the more dominant cannabinoids in cannabis. But there are hundreds of others, like CGN, CGC and THCV. Studies are just now uncovering their applications. Some cannabinoids work well for pain, others for insomnia, and still others for anxiety. Different combinations of cannabinoids also create different benefits, through something called the Entourage Effect. Each with a unique possible benefit. Yet, terpenes aren’t just found in cannabis; terpenes exist in many plants. Some of the same terpenes which make an orange smell, so deliciously citrusy are also found in some cannabis strains. Pine, lemon, blueberries, and spices all share terpenes with cannabis. Again, there is less information available about the effects of terpenes , but some experts believe they play an equally important role as cannabinoids to create an "entourage effect." Sourcing the best cannabis strain isn’t always about cannabinoid content. You may also want to consider the aromatic terpene profile. If you are relying on cannabis for therapeutic reasons, you’ll want to read up on the main cannabinoids first. For insomnia and pain, THC is strong alternative medicine. However, if you are suffering from anxiety, you’ll want to consider CBD and avoid THC (perhaps even all together). Also, different strains will have different known side effects based on their chemical makeup. Some may trigger intense experiences of paranoia and should be avoided if you have anxious tendencies. Once you’ve got the cannabinoids down, consider what flavors you love. Do you love the potent skunkiness, or a more sweet and mellow berry profile? Finding the best strain takes time, experimentation and patience. Blue dream is the most popular strain of cannabis in the country today. Perhaps because it delivers a smooth sweet high, despite its high THC content. Its 21%THC content is mellowed out by the roughly 2% CBD makeup. This CBD component offers relief for depression, anxiety, and general everyday stresses. The CBD also reduces the psychoactivity of THC cannabinoids. If you need THC heavy strains for pain relief, yet have problems coping with the intense high, Blue Dream provides comfort without the intensity. It's especially effective for daytime use. As a sativa dominant strain, it's uplifting and euphoric while only mildly sedating. After a session, it's much easier to stay awake than with an indica. Blue Dream is the child of Blueberry Indica and Super Silver Haze. Its parents have imprinted it with a beautiful blueberry and sweet vanilla undertones. Sour Diesel is a potent strain that has dominated popular culture in recent years. If you listen to hip-hop, you’re likely already acquainted with Sour Diesel. Why is it called diesel you might ask? In all honesty, it reeks of sour diesel fumes. Of course, considering its weed, the scent is an incredibly appealing version of diesel fumes. It has been tested at up to 25% THC content, making it a potent pain reliever. Sour D contains minimal levels of other cannabinoids, including under 0.3% CBD, and even smaller amounts of CBG, and CBL. Beyond its pain relieving properties, its known to help with general stresses, fatigue, and depression. It is a sativa dominant strain, with somewhat mysterious roots. Some strain experts believe it likely descended from Chemdawg 91 and Super Skunk. The increasingly popular strain Girl Scout Cookies has been taken to new levels with this new hybrid, the Girl Scout Cookies Extreme edition. It smells incredibly sweet and skunky, with mild lemony and earthy undertones. Some people even report it smells chocolatey, perhaps some of the reason why its known as Girl Scout Cookies. When used medicinally, its useful for improving appetite, reducing pain and improving depression. In fact, it's an extremely happy strain, with many reporting its lingering benefits for happiness and stress levels. Despite being an indica dominant strain, it makes a great daytime high because of its euphoric properties. Girl Scout Cookies has exceptionally high levels of THC, complimented by low levels of the lesser cannabinoids like CBD and CBG. Although it was born and bred in California, it has quickly spread across the country due to its many medicinal and cerebral characteristics. Everyone wants to get their hands on the cannabis phenomena known as Green Crack. 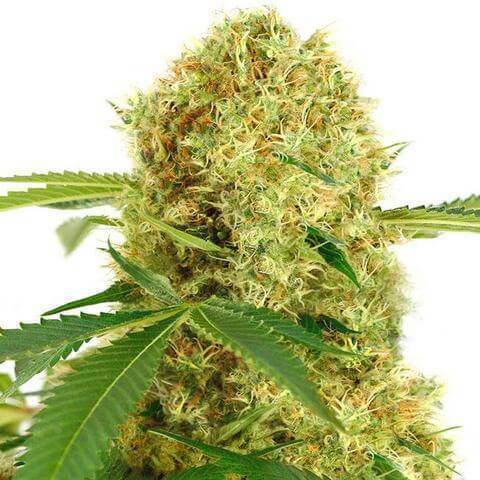 And rest assured, despite the name, Green Crack 100% pure and utterly natural strain of cannabis. With many exciting terpenes, the strain has developed a lovely citrusy flavor. Other people report earthy, pine and sweet notes. In other words, it smells and tastes delicious. Undermost conditions, Green Crack, measures lower levels of THC than some of the more potent strains on the market today. It also contains minimal levels of many other cannabinoids including CBD, CBG and THCV. These cannabinoids all blend to relieve stress and fight depression. Green Crack has impressive levels of THCV, which often help with long-term stress relief. To a lesser extent, this strain is also helpful with mild to moderate pain, fatigue and headaches. OG Kush is a longtime favorite for some marijuana smokers, because of its ability to trigger deep relaxation. It's often called a stress crusher, because of its overpowering stress-relieving effects. OG Kush has long been a popular choice in medical marijuana dispensaries because of its relaxing, and euphoric experience. It's going to make you feel good, over the course of a long lasting high. Keep in mind it's an indica dominant strain, however, so it's not going to set you off cleaning our house and getting all your errands done. Instead, you should feel the stresses of the day washing away. In some tests it has shown up to 26% THC, offset with lower levels of the other minor cannabinoids. It smells lemony, earthy, and some people even report a mild pepper flavor. Like many of the more traditional strains, its origins remain a mystery. It's just been around far too long to know for sure where to comes from. Another excellent indica strain for anyone seeking serious relief from everyday stresses. As an indica cross, it also makes an excellent sleep aid. This strain offers the perfect solution to insomnia and restlessness. Its buds are beautiful dense purple concoctions, and unsurprisingly it smells like sweet berries or grapes. It's a complex hybrid between two lesser-known indica strains, Bug Bud and Purple Urkle. With moderate levels of THC measuring in at under 23%, it also contains modest levels of most other minor cannabinoids. Granddaddy Purp, because of its lower potency, is a much gentler high, perfect for reducing stress and getting to sleep. That isn’t to say it doesn’t have enough THC to help with pain, in fact, that's another well-known characteristic of Grand Daddy Purp. It is a pain reliever suitable for lingering nighttime aches and pains. A sativa dominant combination of Haze, Shiva Skunk, and Northern Lights #5, Jack Herer knew exactly what he was looking for in his hybrid. He wanted to maintain the high resinous levels of an indica, but keep the cerebral experience of a sativa. The Jack Herer strain seems to have done just that, because it's a creative, stimulating hybrid, with an excellent flavor profile. When smoked, you'll taste a deep woodsy flavor profile, complimented with lemon and fruits. As a medical grade marijuana strain, its used most widely for stress relief followed by depression. If you ever find yourself caught up in too much of an overpowering head high, Jack Herer offers a more clear-headed stoned experience. Its often suggested for creatives and artists because of its ability to stimulate without causing mental fuzziness. It has mild to moderate levels of THC, and it has been known to trigger dry mouth from time to time. 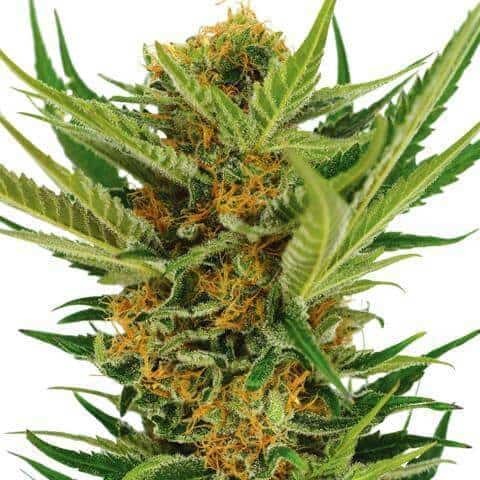 An international hybrid, between South American and South Indian strains of cannabis. It's named White Widow because it is usually coated with thick, sticky white crystals. White Widow often used for stress relief, and unlike other strains, it's unlikely to trigger an intense experience of paranoia. Beyond stress relief, it’s an excellent tool to have handy for soothing depression as well as minor aches and pains. Interestingly, some people have reported that White Widow is Useful as an alternative ADHD therapy. In terms of its aromatic profile, it smells pungent, to say the least. Most people report a deeply earthy herbal aroma. As an indica dominant strain, you might expect to feel trapped "in-da-couch," but there are enough sativa (40%) properties that you'll remain clear-headed and upright after smoking. 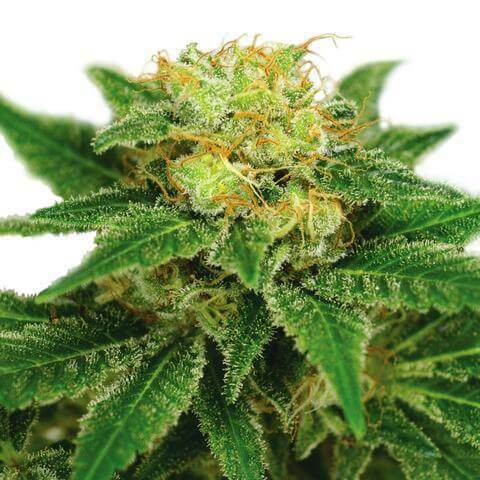 Its average THC rating hovers around 19%, although some growers have successfully increased the THC to upwards of 25%. A strain which has repeatedly taken home awards from cannabis competitions around the world, Gorilla Glue is one of the most popular strains in the country. Its known to have a fascinating aromatic profile, including flavors like pungent and earthy cheese, and piney undertones. It comes from Chem’s Sister, Sour Dubb, and Chocolate Diesel, a lineage that provides Gorilla Glue with powerful therapeutic potential. It's a sedative, known for ‘gluing’ patients to the couch after a good session. Because of its relaxing and sedative effects, its great for deep pain, like that experienced from cancer, chronic disease, and spasticity. Under most situations, Gorilla Glue #4 is not considered a day-time strain simply due to its sleepy characteristics. Sleepiness, likely triggered by its high levels of THC. Some samples have tested for 26% THC! Well known around the world, Northern Lights has been around since at least the 1980’s. It's been around long enough that it's now parented many of its hybrids, including Super Haze Silver and Shiva Skunk. Northern Lights develops flowers are deep shades of purple, and its flavor profile is sweet and spicy at the same time. It's a good hybrid to use during periods of insomnia, stress and even depression. Because of its moderate sedative effects, its a perfect nightcap before falling asleep at night, but perhaps less useful to smoke during the day. Due to its cannabinoid makeup, it's much less likely to trigger thoughts of paranoia or anxiety, than it is to trigger dry mouth and eyes. It contains quite a bit of CBD, when compared to other hybrids, which help with its stress relieving characteristics. There are so many new strains introduced every year, it's getting hard to keep up! While you want to taste, taste, taste to see if you can find cannabis that works better for you, one you find one you love it's hard to try new ones. 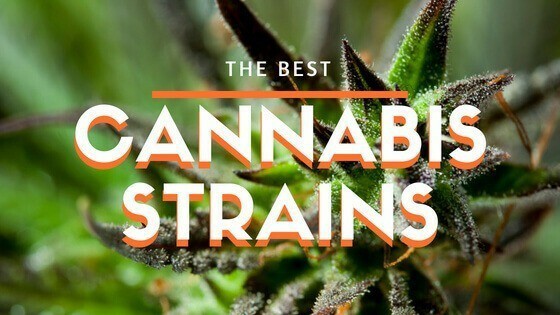 The best cannabis strains will make you want to go back to them again and again because you never have to worry about how they will affect you. What about you? What's you favorite strain of marijuana?